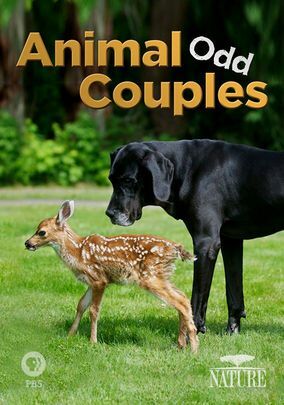 Cross Breed, Odd Animal Relationships! I found this to be a very interesting documentary on cross breed relationships. It shows how an animal can have a distinct nature to have empathy for another animal outside its species when separated from it’s own group or species and they do go through a morning period. All the stories were very intriguing but the story of the blind horse interested me the most. The goat just seemed to know that the horse went blind in it’s one eye. The goat would then lead on the side of the horse where the horse can see it. When the horse went blind in the other eye, now both eye’s the goat would lead from the center and walk in front of the horse. The goat lead/guided the horse for 16 years. That, in my opinion, was a very unselfish relationship. I’m intrigued on how animals and humans have an ornate desire to be part of a group, gang, you know …click…. It just goes to show what growing up in a loving and nurturing atmosphere can do. Instincts speak LOUD and love is powerful and grows very strong on trust. Categories: Uncategorized | Tags: grief, love, relationships | Permalink.